In Sorrento and along the Amalfi Coast of Italy, there are two delicious liqueurs made with local lemons and fennel: Limoncello and Finocchietto. These potent liqueurs are typically served in small amounts after a meal, but they can also be added to Spumante or Prosecco — or even mixed with other liquors to make cocktails. I have even seen a variation of babà al rum where little yeasted sweet cakes are soaked in limoncello instead of rum. The best Limoncello is made with Ovale lemons from Sorrento. The liqueur is made by soaking only the lemon peel in a flavorless alcohol (such as vodka or grain alcohol) for 40 days, then a sugar syrup is added along with more alcohol, and the mixture sits for another 40 days. After 80 days total, the resulting liqueur is strained and bottled. Limoncello is always served very cold and is normally kept in the freezer. Finocchietto is similar to Limoncello, except it is flavored with fennel seeds and other parts of the fennel plant instead of lemon. Some versions also incorporate anise seed and dill. Finocchietto is also served ice cold after lunch or dinner. The very best Limoncello I have tasted comes from lemons grown in the community garden of Sorrento. 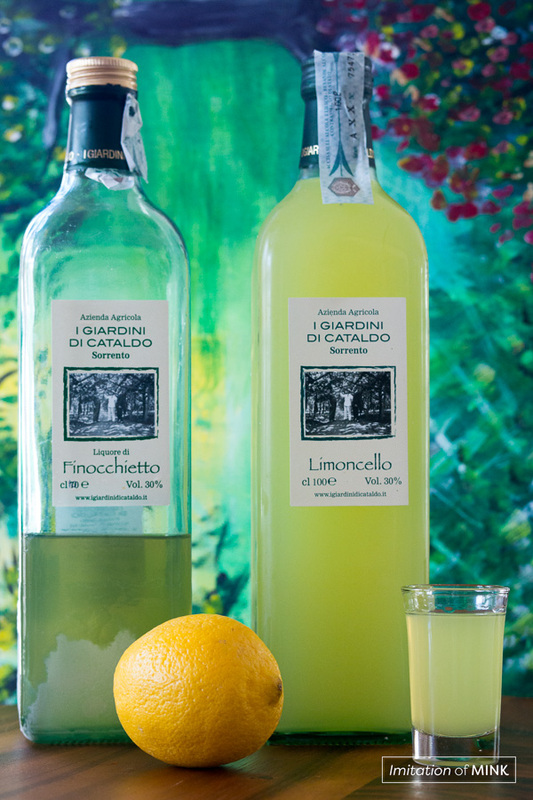 The garden, and production of the limoncello, is managed by I Giardini di Cataldo. Limoncello and Finocchietto can be ordered online directly from I Giardini di Cataldo, but be aware the shipper (UPS/Fed Ex) will forward a customs tax bill to U. S. recipients based on the declared value of the shipment. In my case, the bill was around $10 and it arrived a week or more after the shipment of liqueur. I Giardini di Cataldo also sells Finocchietto, which is made from fennel grown on a private estate on the Amalfi Coast just south of Sorrento. It is delicious. For more information on the lemons of Sorrento, visit SorrentoInfo.com.